Our television has come a long way since the days of a single channel. Today’s reality in which we can record programs, fast-forward and rewind, and not have to miss programs that are broadcasted simultaneously, has all been made possible thanks to the personalized addressable security developed by a small Jerusalem company that has transformed it into an internationally acclaimed global corporation. The idea was born when media mogul Rupert Murdoch searched for a way to secure currency transfers in the digital world. In a meeting with Prof. Adi Shamir from the Weizmann Institute, Shamir interested him in Fiat-Shamir - an algorithm he had developed that enables the easy encryption of a type of public key that only its owners can decipher. 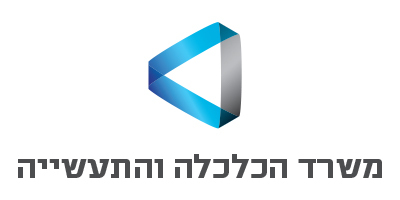 Together with Murdoch and the Weizmann Institute, Shamir founded News Datacom which later became News Data Systems (NDS) and is now part of Cisco Systems. The smart card contains a unique address and allows broadcasters to download specific permissions to each card. The product is small, cheap, removeable and replaceable and can be updated and replaced if hacked. The unique and revolutionary encryption technology changed the world of data security and encryption and allows viewers to purchase individual programs in the method known as pay-per-view, rather than relying on a monolithic programming package. The technology also allows the service provider to shut down a card suspected of being misused. The development replaced the expensive and cumbersome hardware that had been used until then to decrypt TV broadcasts. The encryption method lies at the foundation of all of the connected devices we use today — smart phones, connected tablets, e-commerce, VOD, and the ‘Internet of Things’. With this development of an affordable, removable, replaceable security module, NDS generated a revolution in the world of mass communication, thereby enabling the entire industry to grow and ensuring its profitability. Shamir won many awards for his work and in 2002 received, together with his partners, the prestigious Turing Computer Science Award, considered the Nobel Prize of computing. Photo: NDS Group awarded the 1996 Technology & Engineering Emmy Award for the Development and Implementation of Technology for High Security Encryption of Signals for Home Television Reception.